Greetings Everyone!! Are you ready to have some fun? 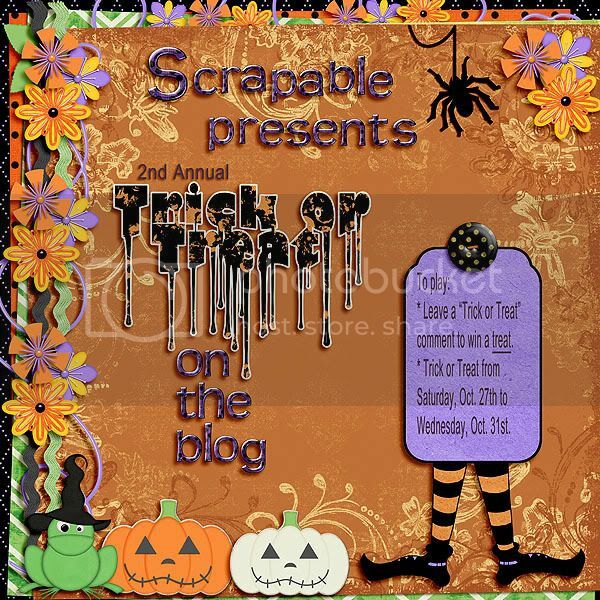 It's our second annual Scrap~A~BOO event. Picking out the perfect pumpkin is always so much fun. And this is no different. 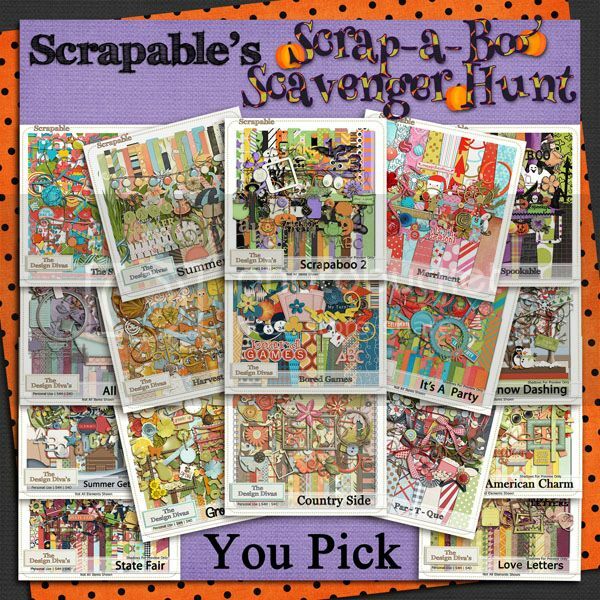 We've placed 13 pumpkins throughout the Scrapable store for you to find. This will not be your traditional Bingo!! We are going to speed things up a bit. To start off, I will post a list of the first 5 numbers. Then, every 2 minutes, I will post 3 numbers at a time. If no one has called a BINGO by 25 minutes after the hours, I will start calling out 2 numbers at a time. The first person to post BINGO, wins!!!! 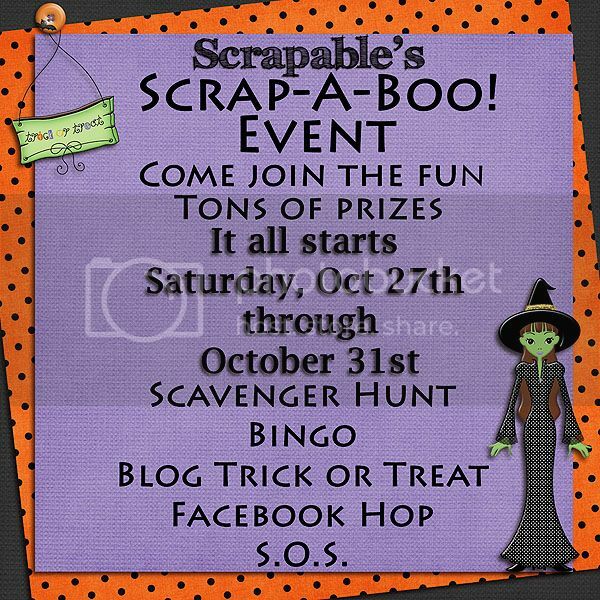 * up to 5 players: "BLACK OUT BINGO" wins a $15 Gift Certificate to Scrapable. * 6 - 9 players - we will also play for: "FOUR CORNER BINGO" winning a $10 Gift Certificate to Scrapable. 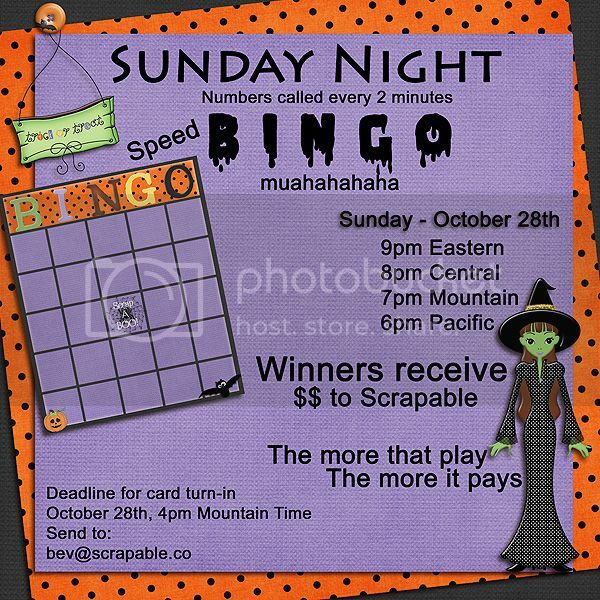 * 10 or more players - we will add: "LINE or DIAGONAL BINGO" (Traditional) " winning a $5 Gift Certificate to Scrapable. Here's the clincher - you can only win Once!!!! So, if you get a line BINGO, you have to decide, "Do I want to wait this out to see if I get a four corner or blackout???" Here is the BINGO Package Fill in your BINGO card with 24 numbers from 1 to 60. **I must have your card no later than 2 hours prior to start of the game. Starting Saturday, October 27th, through Wednesday, October 31st, there will be a special blog post for "Trick or Treaters". All you have to do to be eligible to win is, leave a comment on that "Trick or Treat" blog post. Be sure to include your email address so we can contact you if you win! At the end of the day, we will randomly select one of the comments and the winner will be posted the next day as an addendum to the blog post. The winner will also be contacted by email with instructions on how to redeem their prize. 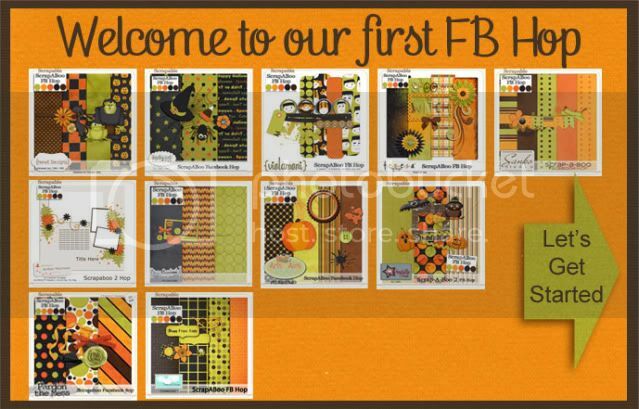 Check out Amber's newest kit, it's super sweet!!! Kit's name is Sugar Sugar and you find it here at MScraps.